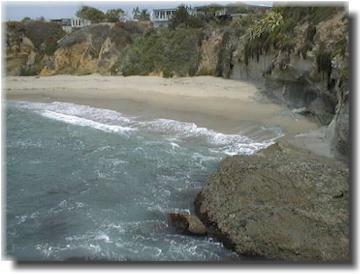 This is one of the magnificent beaches along the costline of Laguna Beach California. Learn to scuba dive with Scuba Superstore and you can enjoy the splendor under the water also. You can begin registering for a class right now. Go to our scuba instruction forms page and begin filling out the information needed to sign up for one of our scuba classes. Next, go to our class schedule page and select the class and date you are interested in. You can even sign up on line! © 1996 - 2019 ECS Inc, all rights reserved.